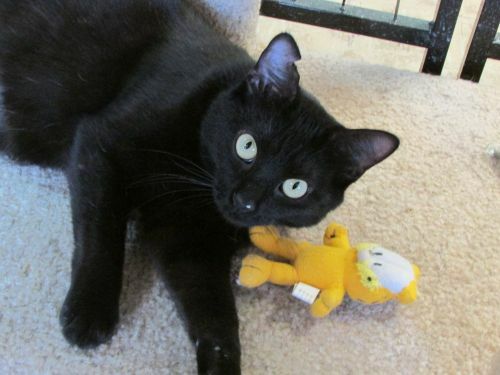 About 9 months old, black, domestic shorthair, looking for indoor home. adoption fee $90. All our cats for adoption have tested negative for feline leukemia virus, been started on vaccinations, and are spayed /neutered, and microchipped. For more information on adopting, please give the Effingham County Humane Society a call at (217) 536-9001.